In order to achieve them you must track your goal progress. It seems intuitive, but so many people fail to do this very simple step that will improve goal completion rate tremendously. If you don't measure it you cannot manage it. That's a fact of life. As already discussed in this series of articles on goals, writing them down is the initial step towards completing them. Just the act of writing down a goal sets your brain in motion to achieve that goal. It is a simple thing that has been studied several times. It works. If you are not already writing down your goals, now is the time to begin doing so. Each week I track my weight, body fat percentage and circumference measurements. This gives me some numbers to go by. I am a numbers guy, but when it comes to achieving goals, everyone should be. I log my measurements weekly. I log every single workout I have. I also use an online workout journal. These things help me to stay focused. I can see tangible results and I can identify problem areas that need to be addressed. This works quite well for me. It is a spreadsheet that I use for this simple purpose. All I have to enter is the areas that are in white. Every other field is calculated for me. It even shows me as my allowable calories changes based upon a change in my lean body mass. This one tool has helped me the most. If you'd like a copy of this spreadsheet and a small PDF file explaining how to use it leave me a comment below and I will get one to you immediately. If you look at my goal tracking above you will see that I am heading in the right direction at the moment. However, if I was not I would be making adjustments to my plan so that I would begin heading towards the target. It does no good to measure these things if you don't use the data for something positive. 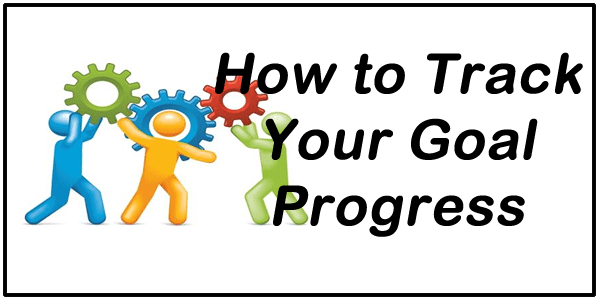 If you have other methods you use to track your goal progress leave them in the comments below.